De Koog is a town in the Dutch province of North Holland. 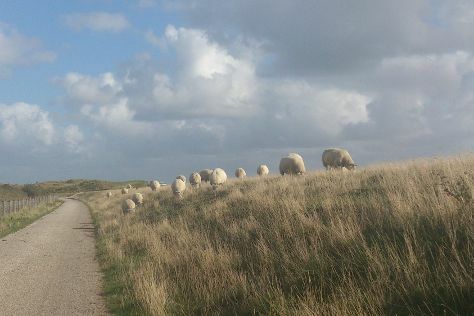 You'll discover tucked-away gems like Nationaal Park Duinen van Texel and Lighthouse Texel. There's much more to do: enjoy the sand and surf at Vuurtorenweg Texel Beach, play a few rounds at Golfbaan De Texelse, indulge your thirst for a good beer at Landgoed de Bonte Belevenis, and see the interesting displays at Shipwreck and Beachcombing Museum Flora. For other places to visit, maps, and more tourist information, read our De Koog itinerary planner. Bangkok, Thailand to De Koog is an approximately 17-hour combination of car and flight. You'll gain 6 hours traveling from Bangkok to De Koog due to the time zone difference. Prepare for much colder weather when traveling from Bangkok in May: high temperatures in De Koog hover around 18°C and lows are around 10°C. Wrap up your sightseeing on the 17th (Wed) early enough to travel to Amsterdam. 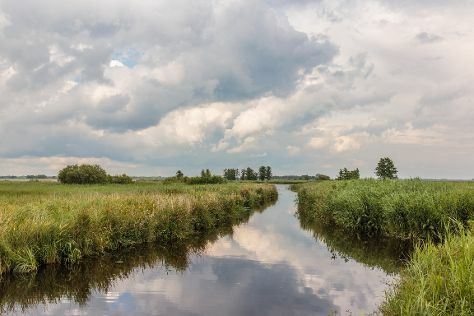 Take a break from the city and head to Nationaal Park Weerribben-Wieden and National Park Drents-Friese Wold. Explore hidden gems such as Strand Egmond aan Zee and De Duif. The adventure continues: don't miss a visit to Museumplein and admire nature's wide array of creatures at Natura Artis Magistra. To find where to stay, reviews, photos, and tourist information, go to the Amsterdam itinerary planner. Traveling by combination of car and ferry from De Koog to Amsterdam takes 2 hours. Alternatively, you can do a combination of bus and train; or take a bus. In May, plan for daily highs up to 20°C, and evening lows to 10°C. Finish your sightseeing early on the 22nd (Mon) to allow enough time to travel to Luxembourg City. 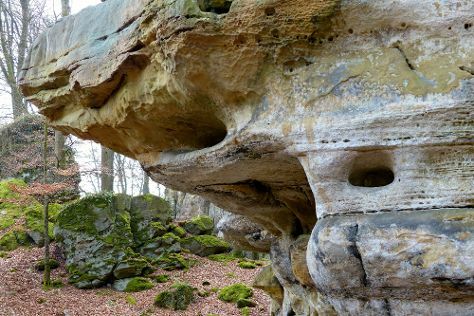 On the 22nd (Mon), take in the dramatic natural features at Casemates du Bock and then trek along Mullerthal Trail. Here are some ideas for day two: admire the landmark architecture of Notre Dame Cathedral (Cathedrale Notre Dame) and then admire the landmark architecture of Abbey of Echternach. To find traveler tips, more things to do, and other tourist information, use the Luxembourg City custom trip planner. Do a combination of train, flight, and bus from Amsterdam to Luxembourg City in 3 hours. Alternatively, you can drive; or take a train. In May in Luxembourg City, expect temperatures between 20°C during the day and 9°C at night. Wrap up your sightseeing by early afternoon on the 23rd (Tue) to allow enough time to drive to Bruges. Discover out-of-the-way places like Belfry of Bruges and Minnewater Lake. When in Bruges, make a side trip to see Menin Gate Memorial in Ieper (Ypres), approximately 52 minutes away. Next up on the itinerary: sample the tasty concoctions at Huisbrouwerij De Halve Maan, appreciate the history behind Onze Lieve Vrouwekerk, contemplate the long history of Historic Centre of Brugge, and admire the landmark architecture of Stadhuis. To find traveler tips, where to stay, other places to visit, and more tourist information, read Bruges trip generator. Getting from Luxembourg City to Bruges by car takes about 3.5 hours. Other options: do a combination of bus and train; or take a train. May in Bruges sees daily highs of 18°C and lows of 9°C at night. 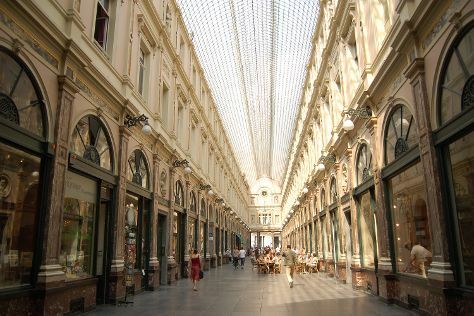 Finish your sightseeing early on the 28th (Sun) to allow enough time to drive to Antwerp. Kick off your visit on the 28th (Sun): step into the grandiose world of Royal Palace (Palais Royal), admire the landmark architecture of Eglise Notre Dame Du Sablon, buy something for everyone on your list at Les Galeries Royales Saint-Hubert, then admire the striking features of St. Michael and St. Gudula Cathedral (Cathedrale St-Michel et Ste-Gudule), and finally admire the landmark architecture of Central Station. Keep things going the next day: take in the spiritual surroundings of Cathedral of Our Lady, appreciate the extensive heritage of Grote Markt van Antwerpen, stop by GERETTI Jewellery & Diamonds, look for gifts at Peter Poussenier, then look for gifts at La Maison du Parfum, and finally stop by Fashion Jewelry. To see ratings, more things to do, reviews, and tourist information, use the Antwerp sightseeing planner. Getting from Bruges to Antwerp by car takes about 1.5 hours. Other options: take a train. In May, daily temperatures in Antwerp can reach 20°C, while at night they dip to 10°C. Finish your sightseeing early on the 29th (Mon) so you can travel back home.